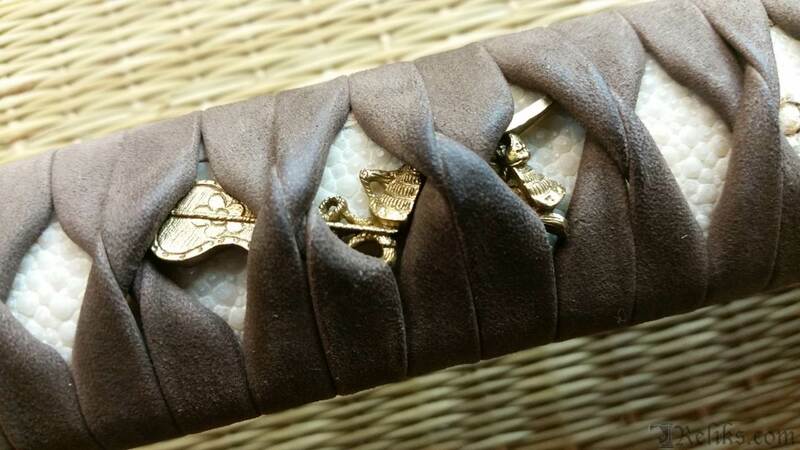 The artisans at Hanwei pay homage to the One-Eyed Dragon of Oshu, Date Masamune. 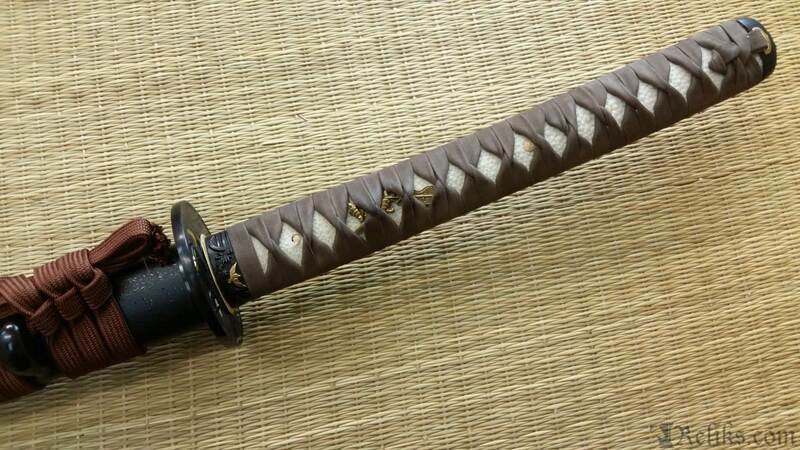 Known for his signature audacious Crescent Moon kabuto and black and gold armor, his legacy is one of conquest by blood and steel which was contrasted by a reputation of being forward thinking, cultured, diplomatic and sympathetic to foreign causes and Christianity. 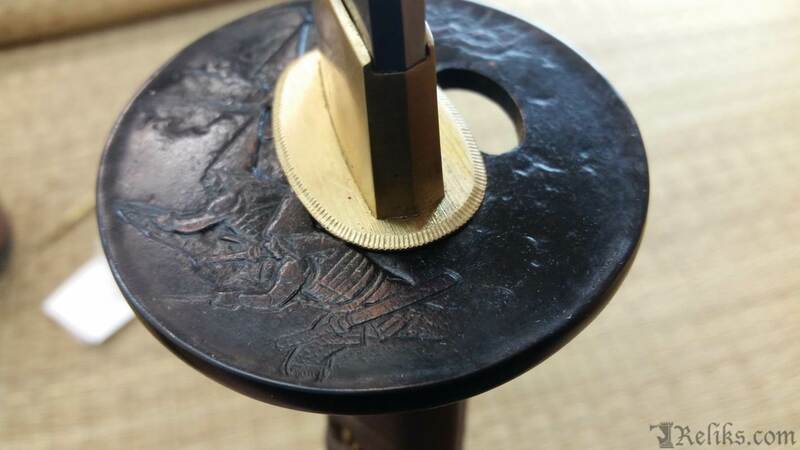 Our Date Masamune Katana features the classic Hanwei tsuba of him holding a war fan while the blade side features soldiers with firearms. 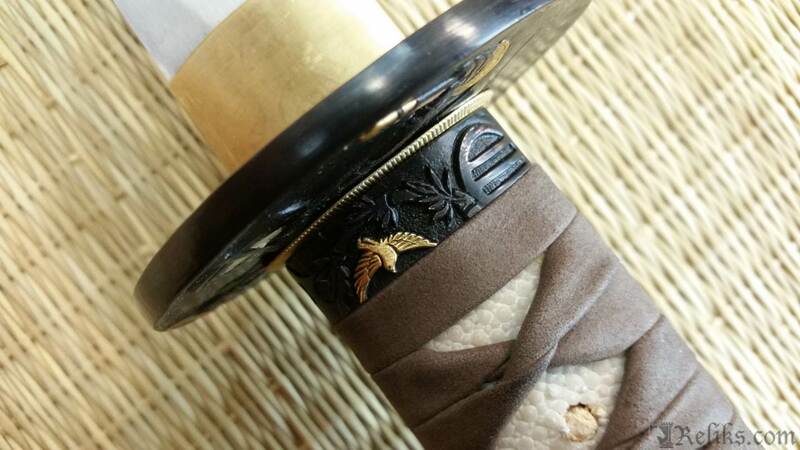 The kashira is embossed with a blackened one-eyed dragon which is contrasted by the kashira with a gold embossed falcon. 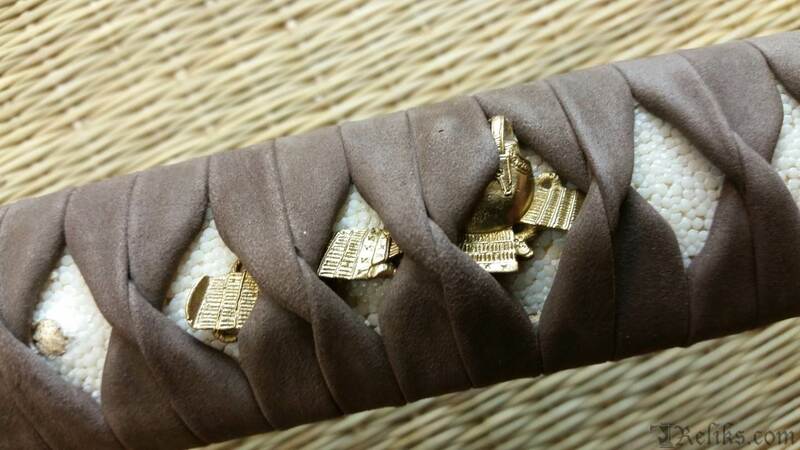 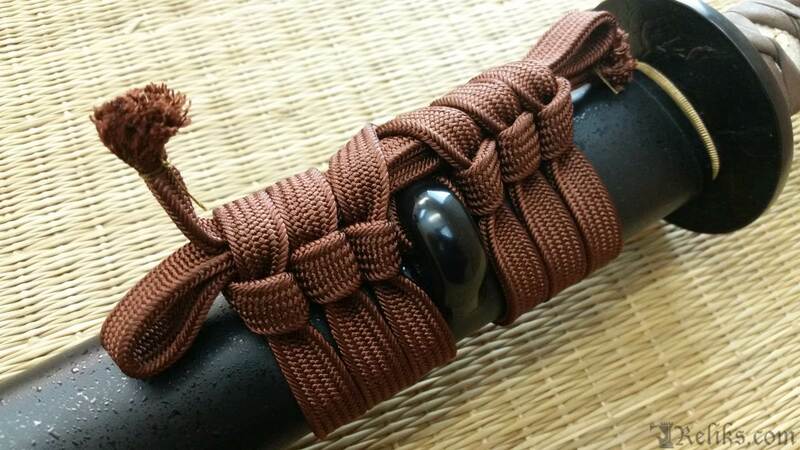 The tsuka is wrapped in brown suede around a white same (ray skin) which feels incredibly great in the hands. 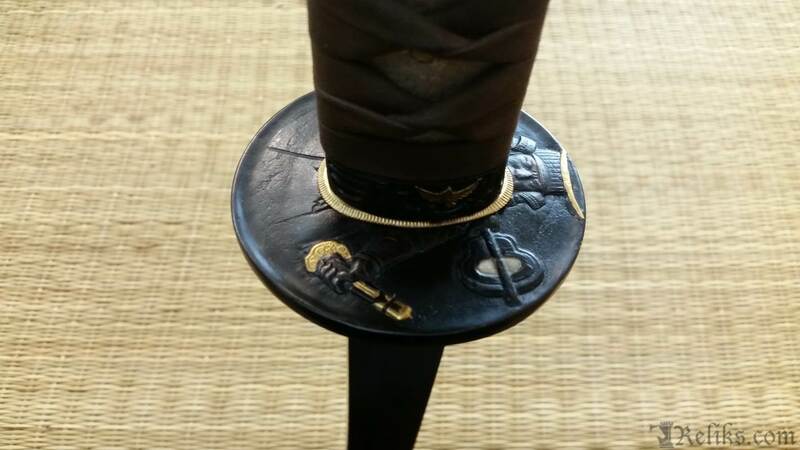 The meticulously detailed gold menuki of Date’s war and kabuto on one side and his breastplate and shoulder armor on the other put this sword over the top. 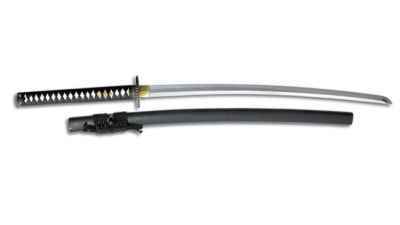 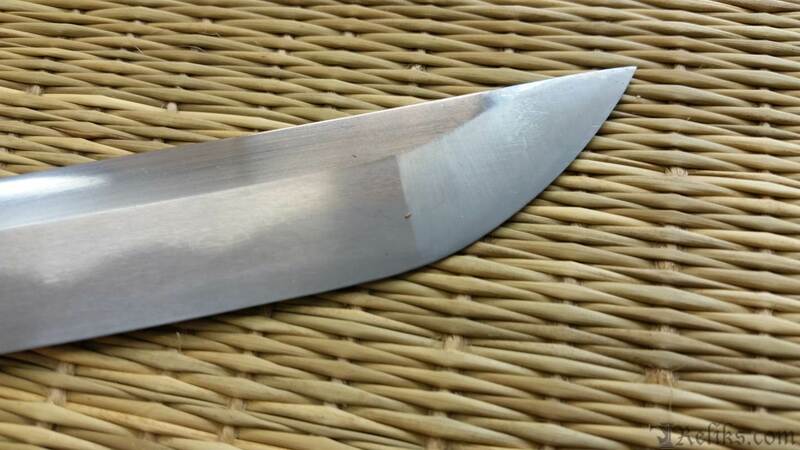 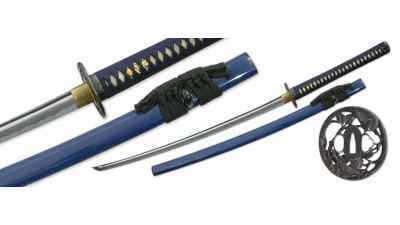 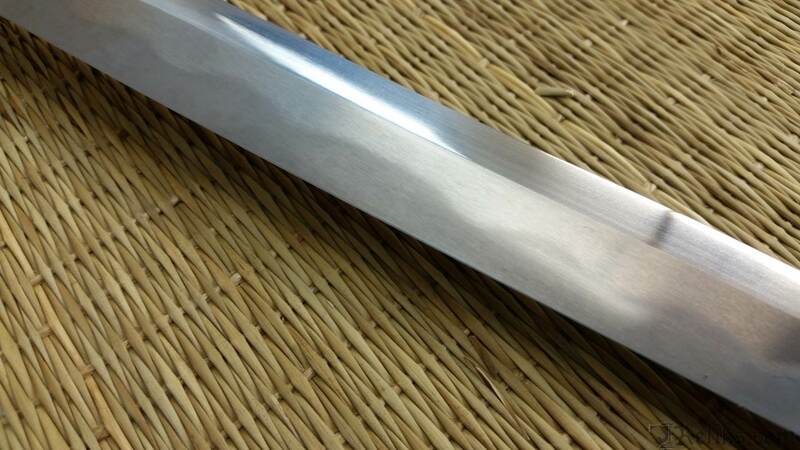 The 27 ¼” forged steel blades possesses a prominent and deep hamon and well balanced for cutting or collecting. 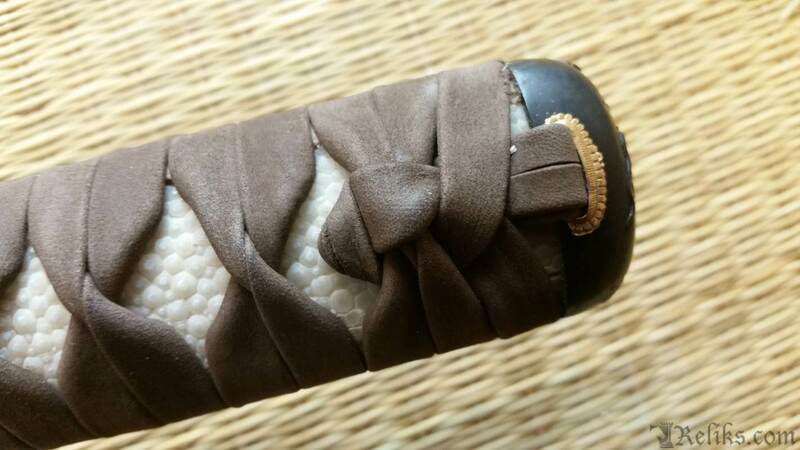 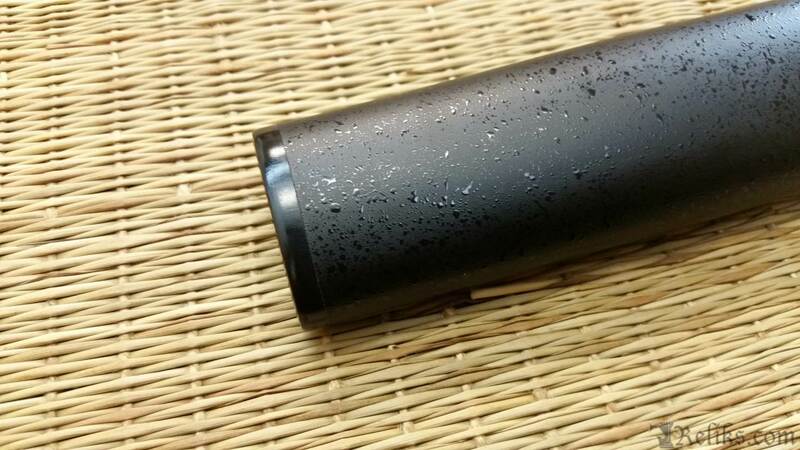 A black textured saya prevents smudging or finger prints and is contrasted with a brown cotton sageo and buffalo horn kurikata and kojiri. 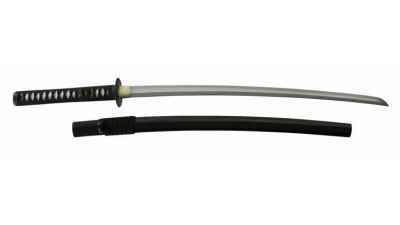 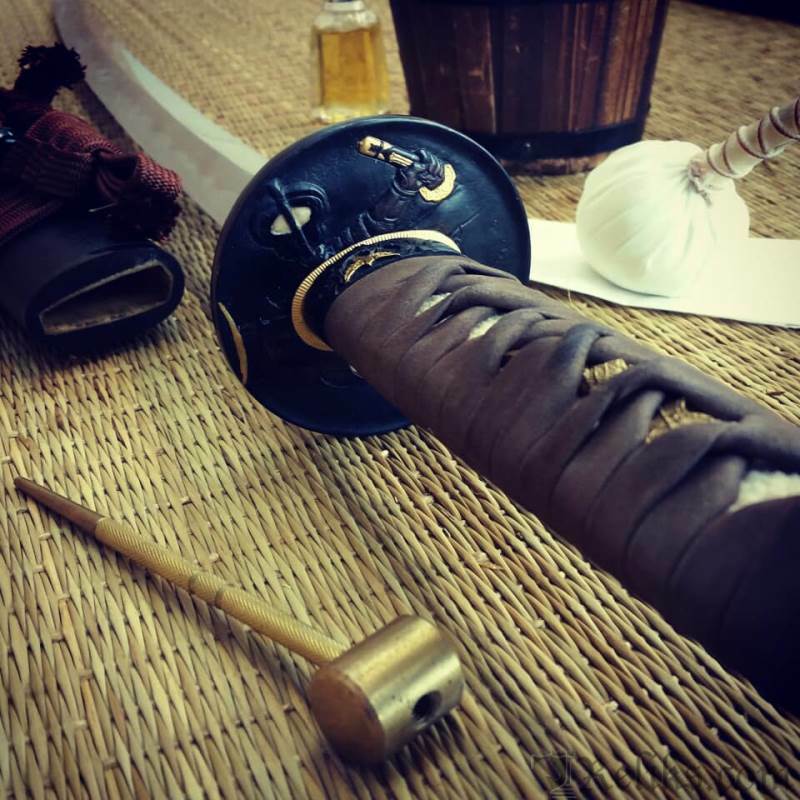 Date Masamune Katana - The artisans at Hanwei pay homage to the One-Eyed Dragon of Oshu, Date Masamune, known for his signature audacious Crescent Moon kabuto.